Ready-to-Eat as a concept has been widely popular in the developed world, while its inception in the developing world is relatively recent and initiated by the changing socio-economic pattern of life in these areas. Ready to eat foods include cornflakes & oats, pasta, popcorn, CUP noodles, retortable and precooked food etc. Packaging plays a material role in this type of food industry by facilitating easy product transportation, prevention of contamination and protection against damage or degradation. Ester, a key player in Polyester Films & specialty Polymers offers “flexible packaging” as well as “rigid packaging” options. 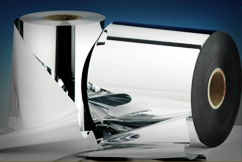 Under flexible packaging, it offers wide range of barrier films (viz. non-retort, both metallised and transparent, Heat Seal for lidding and Transparent retort film; while for rigid packaging it offers PET resin for Extrusion & Thermoforming and Packaging applications (Microwavable foods). These packaging films are manufactured using high-end technology and best-in-class materials to deliver superior moisture barrier, heat sealing, aroma retention, good machine performance, excellent printing, and impressive rigidity. We take on a collaborative approach to food packaging by working closely with leading manufacturers, packaging converters and retailers to develop innovative packaging films and polymers.